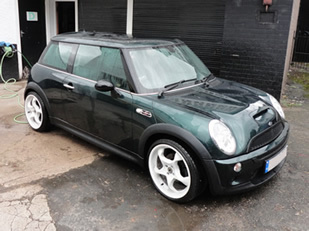 I got introduced to vehicle wrapping in 2008 through our "Ultimate Tinting Forum". I'd been aware of it for ages, but then a few years ago several of our guys started enquiring about wrapping training, I couldn't recommend anyone as I didn't know anything about it but did start to look around. I didn’t do wrapping so started looking for the right calibre of trainer to bring on board. I'd contacted a few companies including vinyl suppliers and John's name kept popping up but he was working for various other companies. Then mid 2011 a couple of the guys were trained by him and told me he'd gone "Freelance" so a couple of calls and meetings later, he started working with us and he's been on board every since, and is now in charge of all the training..
“Here is Ash's Audi A3, a pretty nasty yellow colour to start, a beautiful satin Tungsten at the end. 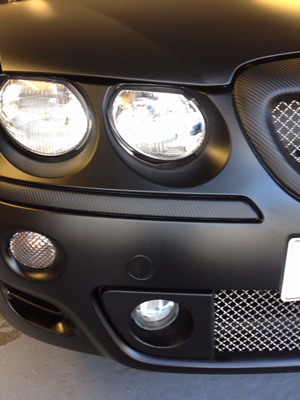 This is probably the most popular colour to wrap cars, it's gorgeous”. Guys have brought us an amazing assortment of cars for them to wrap, from a slightly battered Fiesta right up to a brand spanking Mercedes C63 AMG Coupe!! We've had single seat race cars, motorbikes, vans, campers you name it. We've done hundreds over the last few years. 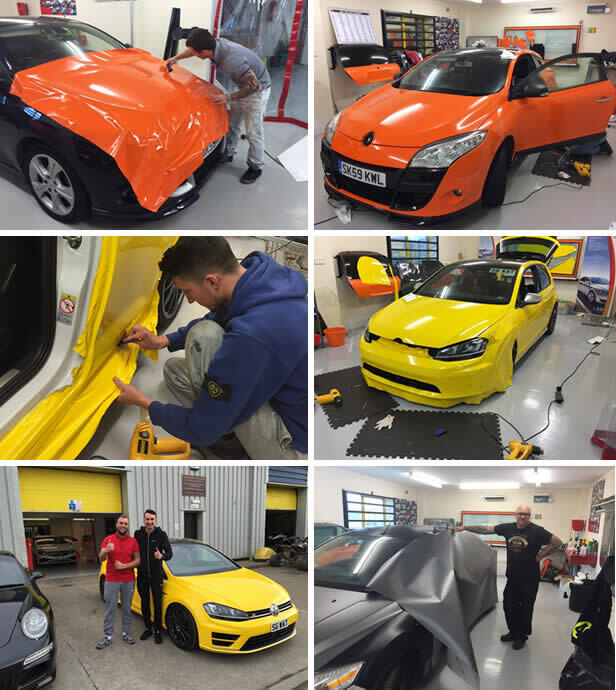 Get trained by the best...Now this is important, anyone can show you how to wrap a car, it's like tinting, anyone can show you how to tint, BUT, there is a massive difference to being shown by a tinter/wrapper or being shown by an experienced trainer. 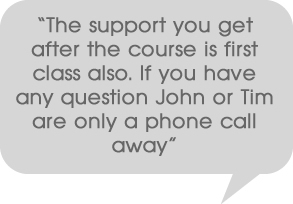 Good trainers are massively experienced people, able to answer pretty much any questions thrown at them. How can they do this? EXPERIENCE. Experience is everything. I'll let John tell you about himself. 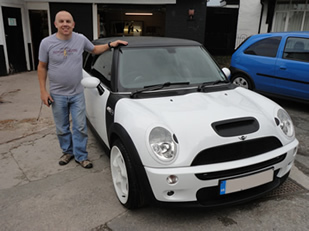 "With over 27+ years’ experience within the glazing, window film, paint protection film and vinyl wrapping industries I have had a fantastic career, which has taken myself all over the world. I started off by working in a glass company and served my time as a glass cutter. In 1989 I was offered a job in CPFilms, then called Courtaulds, now Eastmen, within a few years I was fast tracked into management, which meant going back to school! 1993 was when I was introduced to window film and spent the next 6 years working in the US and UK, setting up window film production lines. After two years at college I decided to transfer into tech/sales. I already knew how to produce professional window film but it was time to learn how to install and sell. 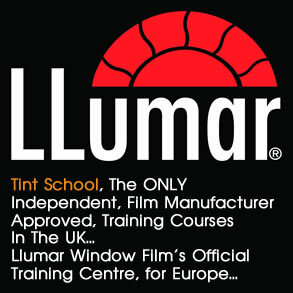 In 1999 I had the luxury of travelling around the world to be taught how to install window film by some of the best teachers around. From 1999 – 2008 I estimate I trained over 1,000 students around the world, from the UK, Europe, China, USA and Asia. In 2008 I decided to look into the vinyl wrapping industry and then I spent time in the US and Germany learning how to install and teach vinyl wrapping. 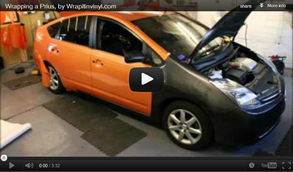 Over the last few years I have trained many companies how to install and sell vinyl wrapping. 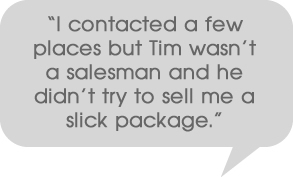 In this time I have worked with some good companies, however finding the right partner to grow the business has been hard, until I met Tim from Ultimate Tinting. 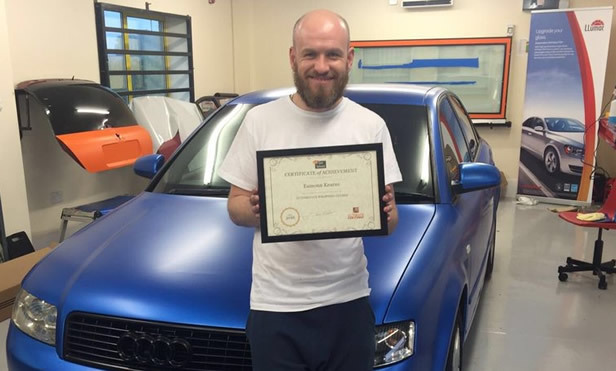 Tim and I have the same attitude when it comes to training customers, whether it’s car tinting, car wrapping, paint protection or flat glass our aim is to teach you what we know, this means 100% hands-on. We know that standing around watching the teacher with 20 other students does not work. I have a reputation for working my students very hard as I believe you should know and practise every technique because like I said standing around talking is a waste of your money!!" 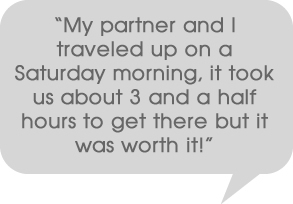 As John says, finding the right person to partner with is VERY important and as we both have the same work ethic and morals our courses got off to a staggeringly successful start....To be honest I was caught a bit off guard with the bookings. After only mentioning a few lines on the front page of the Tint School site that we were going into wrapping training, we filled the first month within a few days!!! And it's just carried on. This is because "Tint School" has built a reputation second to none over the last 13+ years. Good hard honest graft, no posh fancy units, no flashy sales web-sites, no pushy sales people, we don't pretend to be anything we're not, oh, and we are the best at what we do and can back up everything we claim. We're realistic here, we work in an environment that 95% of you will, nothing fancy but VERY functional, it's like a bigger version of working from a double garage at home! Oh and we don't run a tinting course in the corner while you're on your wrapping course as happens at other places! 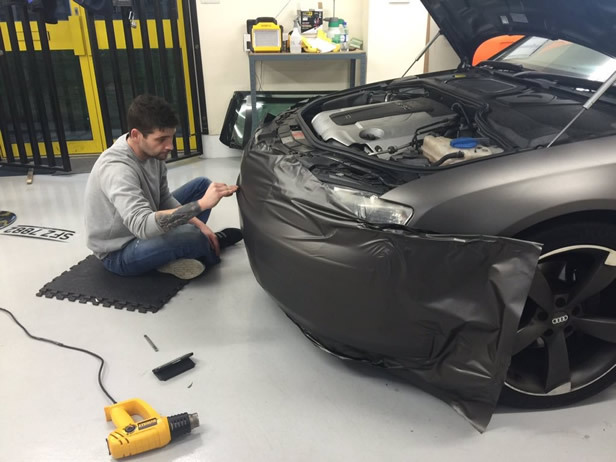 We strongly recommend that 2 of you attend the wrapping course, as unlike tinting, you really do need a second pair of hands when doing the side of a car or a roof or bonnet. It is possible to use magnets, as John will show you, but there is no substitute for a second pair of hands. 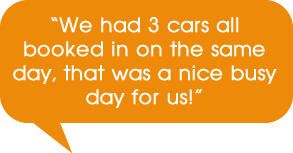 FOR THIS REASON WE’RE DOING OUR “SECOND PERSON 1/2 PRICE OFFER” ON THESE COURSES TOO!! ACCOMODATION IS INCLUDED IN THE COURSE FEE, BREAKFAST AND LUNCH AND USE OF A COURTSEY CAR TOO, AS YOUR CAR WILL OBVIOUSLY BE OFF THE ROAD FOR 4 DAYS. I'm sure it won't be long before others start to copy these ideas, they usually do, but from previous experience they'll try but won't be able to do it. Because they will only work 9-5 they generally won't have the time to finish. They could charge more and do a 5 day courses I suppose, lets wait and see. From experience, you will need to work into the evenings to finish your car. We've had some of our trainees working it 10-11pm. But you know what? They love it. We give you a door key to our place and you can come and go as you please once we've gone at the end of the day. 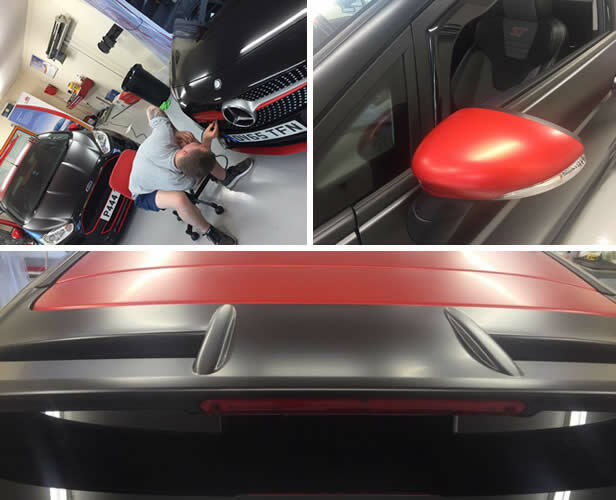 It's really enjoyable for us to come in the following day to be show by you what you've achieved on your own the night before.. We do exactly the same with our tinting courses. You will progress so fast doing this..
You also mustn’t be afraid to strip the car down, as in some instances, door handles and lights sometimes need to be removed and bumpers have to be loosened etc etc. It’s not hard once you’ve got used to it, but can be a bit daunting at the start if you’ve never done it before. You don’t have to do this, but in the long run the job will be better, and quite possibly quicker too. We always say that your homework before you come on the course is to work out how your door handles come off. 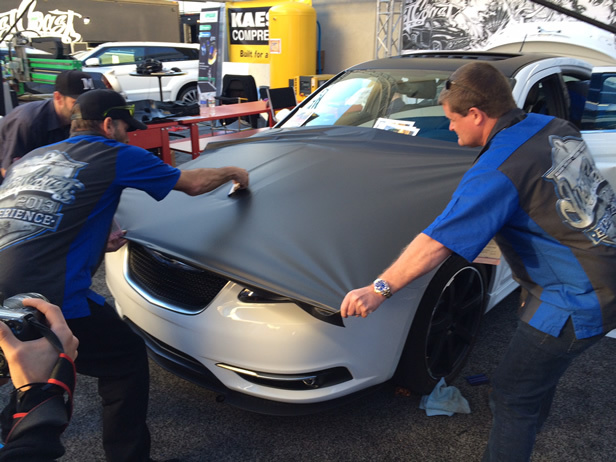 We aim to train you to wrap on the car you come in, but WE DON’T GUARANTEE WE’LL FINNISH IT. Your coming here to LEARN HOW TO WRAP, NOT, to get your car wrapped. But of the hundreds we've done, only 2 we haven't completed and that was because the guys had ferries to catch, but there were only little bits to finish off..
On booking your course, you'll speak to John, discuss what car you're going to wrap and he'll tell you how much vinyl to order. We’ll put you in touch with the best supplier for you, this will usually be William Smiths who supply 3M vinyls. You order your vinyl, with our discounted rate and then you bring your vinyl’s with you when you come, or just get it sent direct to us. We’re not going to get involved in the supply of the vinyl’s as there are just too many types, thousands! 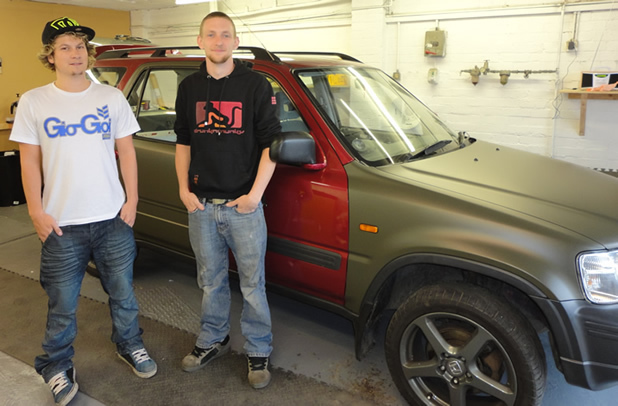 We will put you in touch with the BEST suppliers and they will supply you if you tell them you're doing our courses..
"Dwayne & James from "South West Tinting" (previously taught tinting by ourselves) now adding Vehicle Wrapping to their business"